Paul Wigley is Professor of Avian Infection and Immunity at the University of Liverpool. He has a BSc in Immunology and PhD in Molecular Microbiology. 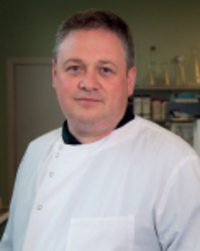 He began research in poultry in 1998 at the Institute for Animal Health, joining Liverpool Vet School in 2004. He has published over 70 peer reviewed articles on the immunology and microbiology of poultry and his work has included understanding the impact of infection on village poultry systems in Africa, as well as commercial egg and meat production in developed industries. His current research focuses on the immunobiology of avian enteric infections, the microbiome of monogastric livestock and evolution of new epidemic antimicrobial resistant variants of Salmonella in pigs, poultry and humans.